This point can’t be understated: practise makes perfect! Casting is a skill learnt over time, and persistence really does pay off. But not everyone has time to be on the water casting every day. So how can you practise? You may get some funny looks, but practising in the back yard is a good start when learning how to cast a fishing rod. The best way to do that is to set up a bucket about twenty metres away from where you’re standing. Once you’ve don’t that, tie a sinker to the end of your line and spend half an hour trying to land that sinker in the bucket. It may come with its frustrations, but you’ll see major improvements before long! 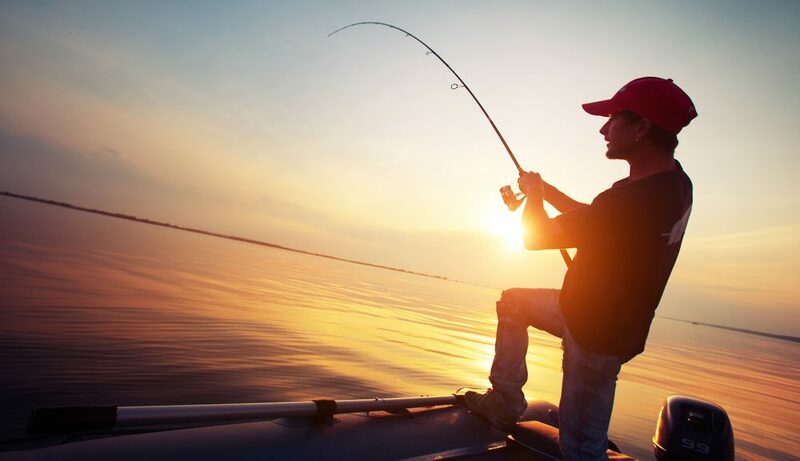 Choosing the right rod and reel is another important part of casting in fishing. Different rods and reels are suited to different types of fishing. That means some will be easier to cast, and some harder. For general purposes – such as estuary fishing – a spin combo rated at 4-6kg is ideal. If you’re chasing smaller species like bream or whiting, downsizing to 2-4kg is better still. In terms of length, 5.5 to 6 feet is a good allrounder. If you’re flicking lures for more dogged structure dwelling species, a baitcaster might be in order. Baitcasters are among the hardest rods to cast, but also the most accurate, so keep that in mind. Whether you’re fishing with bait or lures, the weight of your tackle will determine how easily you can cast. If your lure or sinker is too light, casting will be nearly impossible. If your lure or sinker is too heavy, a strong cast will risk damaging your rod or breaking your line. For small soft plastics and light sinkers, you’ll need a rod rated at around 2-4kg. These rods have a light, whippy tip. That allows for easy casting with light weights. For heavier hardbody lures and sinkers, a rod of 4-8kg is a better choice. Of course, you need to match your tackle to the conditions. There’s no use fishing with light tackle in strong currents and heavy wind! Choose the right tackle first, then pick a rod to match. Lure casting is where the perfect cast really comes into its own. After all, landing that lure in the right spot is the only way to get a fish! For flicking the snags, try getting acquainted with baitcasters. They allow for accurate side casting techniques, even when there’s little space. For flicking the flats, choose a longer and lighter rod. They allow for strong overhand casting techniques, which give you the distance to target flighty fish. When to cast and when to drop: sometimes perfect casting isn’t necessary! With all this talk of the perfect casting techniques, it’s easy to forget that some fishing doesn’t even require casting! Generally, if you’re fishing in a boat over four metres or more of depth, simply dropping your bait to the bottom will do. Predatory fish love dwelling in deeper holes, so if you can find some good deep water, sending a bait straight down will be productive. For more great fishing inspiration, contact us.